I love cooking, and, being the savvy digital age marketer I am, I shy away from recipe books and lean toward finding great recipes online. So, when I’m tired of the same old tried-and-true meals I tend to cook, I’ll venture out into the great wide web in search of fancy new recipes to broaden my horizons. After a quick skim, say I’ve found something that sounds delicious (let’s be honest, mostly just looking at the picture paired with the recipe) and decided to try it out. Usually, I’ll just bring the recipe up on my phone at the grocery store and grab the listed ingredients. However, on more than one occasion, I’ve gotten home, started to work through the recipe (actually reading in detail for the first time) and realized I don’t have the right cooking gadget I need to make it. Now I have to go back out and get the right-sized pan or gizmo before I can start, or figure out a way to get super creative with the items I do have in my kitchen. At this point, this has now happened to me often enough that I have pretty much everything I could possibly need in my kitchen, but, in the moment, it is incredibly frustrating to try to build something amazing when I don’t have the basic tools needed to successfully pull it off. Most of us are trying to do just this with pillar content. But when we get down to executing on it, we realize we didn’t really read the entire recipe, and there are some basic ingredients we overlooked. In this article (or recipe for the most perfect, tasty pillar content), let’s make sure you have everything you need right from start to finish! Let’s start with a quick refresh of what pillar content is. At its most basic definition, a piece of pillar content is a long-form piece of content (upwards of 4,500 words) meant to serve as the head of a keyword cluster that targets one specific keyword with high search volume. A pillar page, which is a long-form piece of content (typically upwards of 4,500 words) on a website page. A group of 8-22 sub-topic pages (most commonly blog articles) directed at related keywords. Bingo! That is exactly right. In order to truly understand pillar content, make sure you’ve boned up on keyword clusters first. Keyword clusters are groups of keywords related to the pillar topic -- this is why how to do keyword research effectively now is so drastically different from just a few years ago. Clusters have shown themselves to be the ideal new strategy for keyword targeting, replacing some of the ways we’ve built keyword strategies in the past. Using clusters allows Google to understand that you have a wealth of content about a specific topic area, thus it sees you as a thought leader. This approach matches up directly with the way Google’s algorithms give ranking credit to websites. Now that we are on the same page about pillar content and keyword clusters, let’s talk about how to take your pillar strategy and execute it properly by connecting it directly to your blogging and content creation strategy! To start this process, you need to actually have a pillar content strategy built. I’d highly recommend using the Pillar Content Workbook created by Liz to start this process as it will ensure you hit every step you need to go through to build a killer strategy. 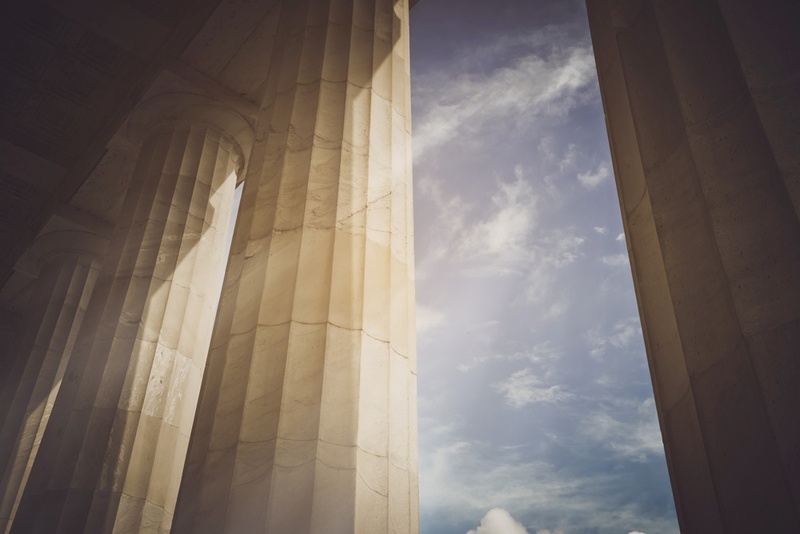 It is important to know before diving in, that a pillar content strategy is about far more than just the pillar page itself. If you are hoping to just quickly build an offer on page and then walk away, think again. For pillar content to truly work, it needs a solid strategy, so don’t skimp on this step. As part of the Pillar Content Workbook, you’ll be creating a sub-topic keyword strategy. This step is the most important part of the process for connecting that strategy to your blogging and editorial strategy. The only way you can plan your sub-topic blogs is based on your sub-topic keyword strategy. Make sure you’ve completed this step and have selected between 8 and 22 sub-topics. This range tends to be the sweet spot for making pillar content results that sing. Once you know what sub-topic keywords you want to focus on, you can decide how to tackle them. I typically recommend taking a two-pronged approach to this: historical blog optimization and new blog creation. If you’re here, my guess is you are not new to content creation. So, look at your existing content assets. If you have a vast library of previously published blogs, I’d recommend starting there. Search through your existing blogs and see if there are any strong candidates that you can historically optimize for some of the new keywords you’ve identified in your sub-topic strategy. Identifying as many pieces of existing content as you can to include in your pillar content strategy will speed up your ability to launch and link everything properly, meaning you start generating results faster. This is also a great opportunity to update and freshen the content of the blog. We have plenty of tips on how to do this in previous blogs and podcasts. Lastly, once the post has been updated, you should update and re-publish the post with a new publish date. Your other option to build out your sub-topic clusters is to add new blogs to your editorial calendar of planned content that hit the keywords you’ve identified. Deciding on new blog topics can be done in a couple of ways. If you are generating topic ideas on your own, make sure to grab ideas from the “Big 5,” or utilize a tool like Answer the Public to see what searchers are looking for. As our resident guru on pillar content, Liz reminds us quite sagely, the pillar page is nothing without the linking strategy behind it. As you historically optimize old blogs or launch new blogs that are a part of your pillar content strategy, make sure they are linking to the pillar page and that the pillar page is linking back to them. Google will really only know about your whole cluster if you tell the story through your links. The only way to truly help Google understand what is connected and part of your topic cluster is to link the items together appropriately. You should also be looking for opportunities to cross-link between sub-topic blogs within the overall cluster whenever possible. I cannot emphasize enough that you should not skip or ignore this step. Your pillar content strategy will be lost without it. Let’s start with measuring your cluster as a group. The easiest way to do this in HubSpot, is to make sure your cluster is built out in the Content Strategy Tool. Here you can segment and just see metrics for pages that are grouped within the cluster. You’ll want to look for traffic growth to the cluster as a whole and keep track of your overall conversion rate across the cluster. This tool will allow you to measure the performance of your cluster as a whole over time and watch it grow! Another good thing to keep an eye on is the conversion rate of your pillar page. This is just basic good practice for any landing page. Ideal benchmark for conversion rate on landing pages is to be above 20%. Ideally, your goal should just be to continually make improvements to your pillar page to gradually increase and improve its conversion performance over time. Lastly, it is important to keep an eye on your overall website traffic rate. Ideally, you are looking for your pillar strategy to help you generate more traffic to your website as a whole, so it makes sense to look at that metric. As you implement more and more pillar and sub-topic clusters, you should see your organic website traffic as a whole climbing. If I can leave you with just one lesson, it would be that your blogging strategy and pillar content strategy should be part of the same conversation. Never, ever, should they be considered separate things. In order for pillar content and keyword clusters to provide you with results, they need to be approached as part of the same conversation rather than as separate tasks. They each affect each other greatly and one cannot be successful without the other. So what are you waiting for? Get started on your first pillar strategy with the Pillar Content Workbook today and start reaping the rewards tomorrow!